I guess they're not making enough money on $300 spandex shorts. 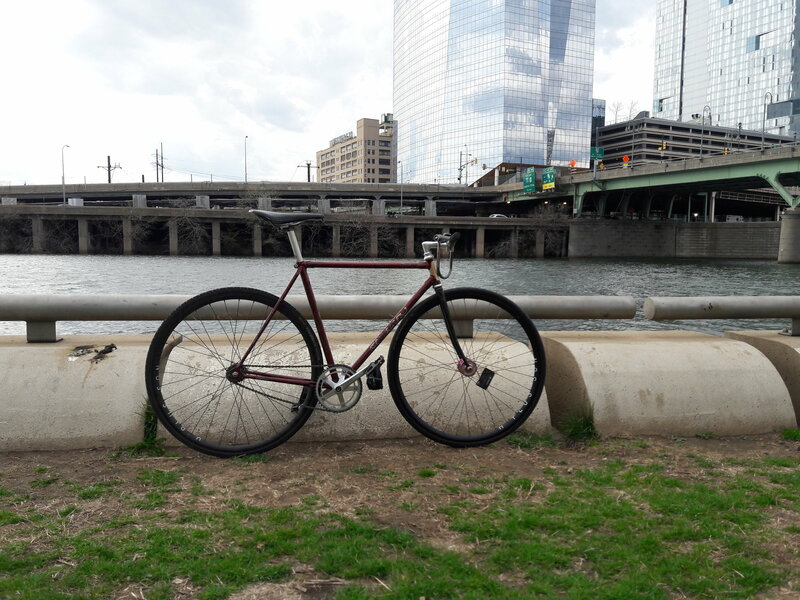 Threw on a more upright Nitto stem that I had laying around (it actually can't go any lower but there are worse problems to have) along with some flat bars I picked up at the co-op for $10. Also some fixation pedals and straps. Loving the ride! My first time going full brakeless and after a couple days of cycling VERY slowly, I feel very on top of it. The biggest struggle was/is getting my second foot into the strap, but that's getting easier over time. So much fun. Nice rig! Congrats. BUT that saddle is nasty. looks great. What rack is that? Havent been to these boards in a minute but Im back. And heres not a fixie. look who's back! What's the frame in the first one? Corsaro, not really sure what it is. Tange tubing with an english threaded BB but not NJS. I'm liking that not fixie. Looks fun! Nice! How do you like the Soma? I'm thinking about ordering one if my plan A frame doesn't go through. IMHO i think the Soma is great. I've not had any issues at all with it and I've been riding this bike pretty consistently for about 2 years now and it's still holding up well with no issues at all. 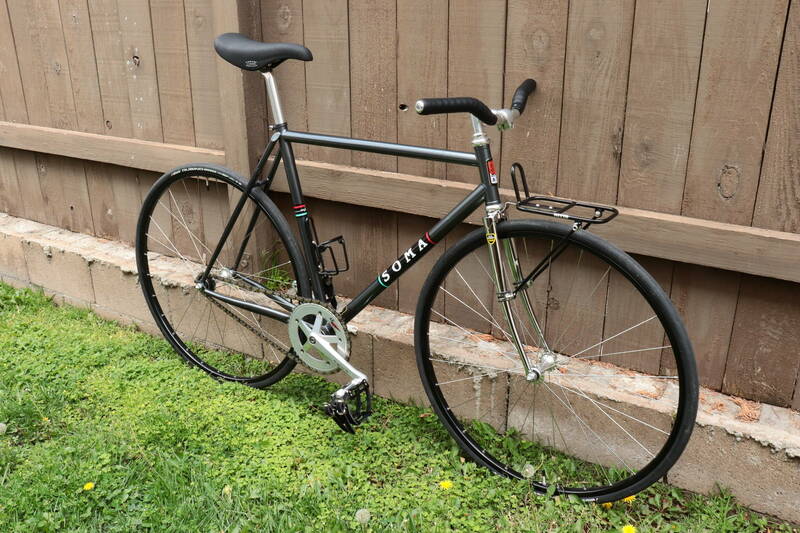 I'm not sure what your other choice of bike is but I think the Rush can hold it's own against any other steel fixed gear frame out there depending on what parts you put on it. There may be a few other more "columbus steel and lugged frames" out there but for the price at the time when I bought it was perfect. I go pretty hard on this bike and it still holds up perfectly.. One thing that sets it apart for me was the threaded headset. I just have a thing for quill stems so I went for it and bought it. Been happy ever since. Just curious but what is your plan A bike? Plan A is a Big Block, just waiting to see if the shop can get one in my size (stock is apparently super low, so it might be a long wait if there aren't any floating around now). 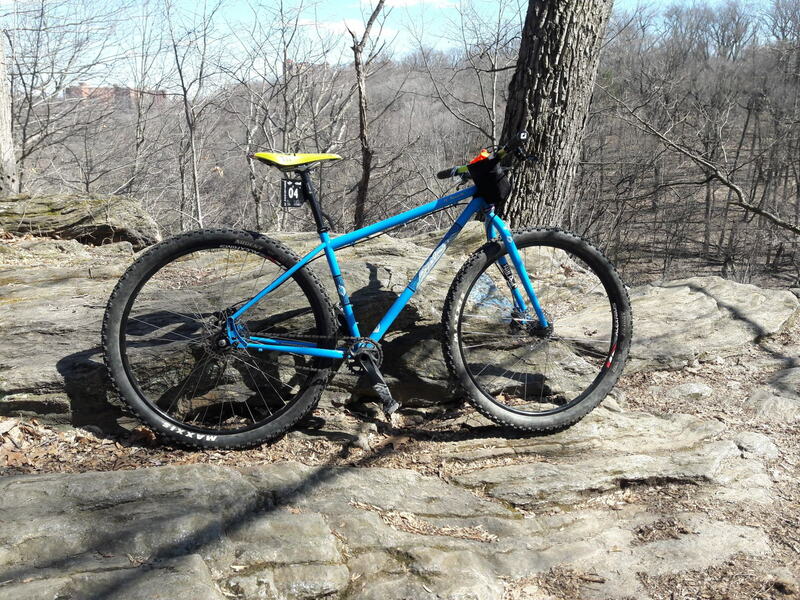 The Soma seems pretty similar as far as geometry and tire clearance, so it's my second choice. I'm not really a fan of threaded setups, but it's not a dealbreaker either. 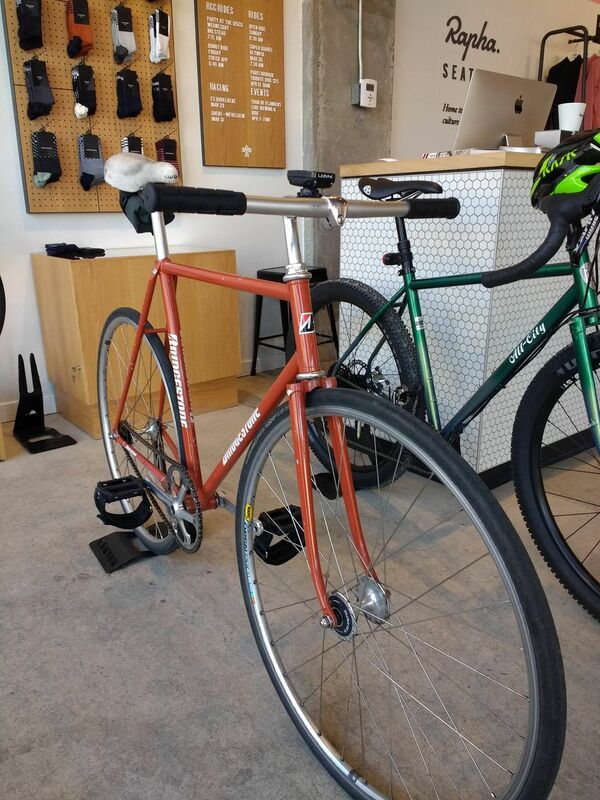 A brakeless fixie and a Gorilla Monsoon in the Rapha store? Oh the humanity! Last time I was in a Rapha store I bought a $125 jersey and they wouldn't throw in a fee cup of coffee. The coffee probably cost them twelve cents but they looked me straight in the face and said, "No. You have to pay." Didn't see this comment earlier- lol I actually had the same thought. Last edited by antmaster5000; 04-15-19 at 09:00 AM. New (used) bars finally! I know they dont match but I needed to get rid of the awful track drops asap. 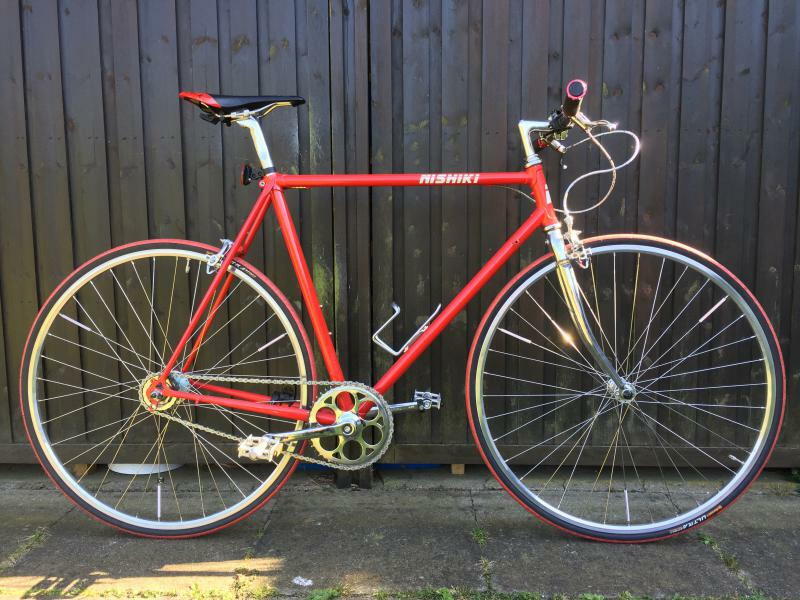 Recomendations for bartape? Something fun! Cool frame! If you're looking for black/leathery I like fizik endurance. Its comfy and durable. Last edited by PeopleAreIdiots; 04-14-19 at 03:13 PM. 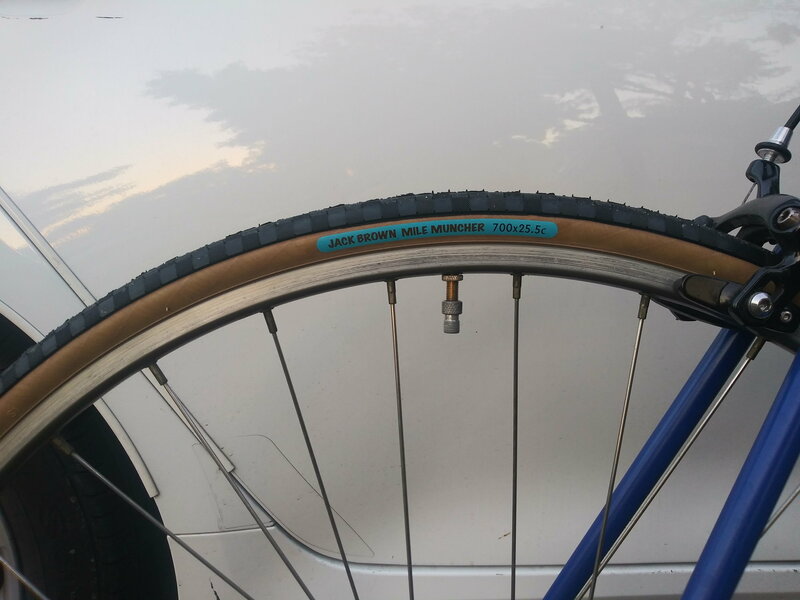 Recomendations for bartape? Something fun! I'm really liking my Supacaz tape. They have plenty of designs, you should be able to find something you like that complements the frame. It's not the cheapest tape, but it does come with a pair of sweet matching anodized bar end plugs. Is that the original paint job? It's really cool. Thanks ^_^ no it was done after the frame modifications. 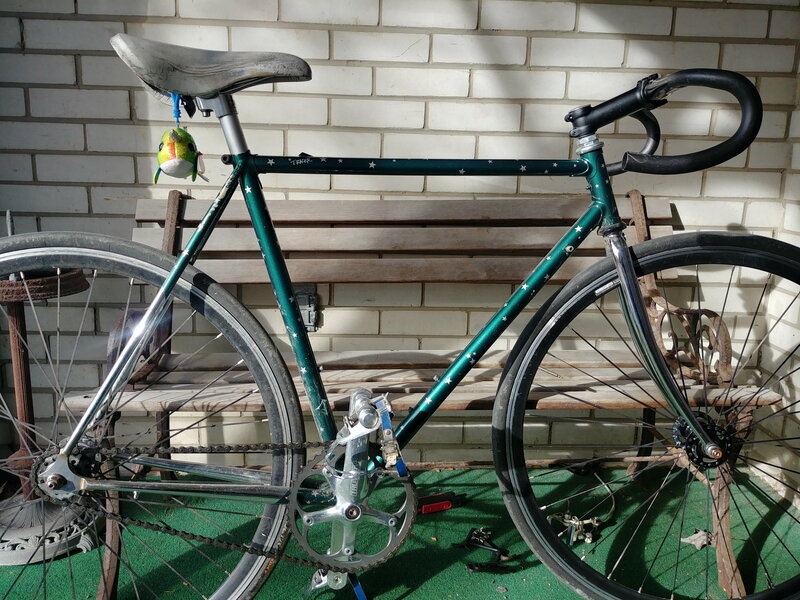 I bought it this way but the previous onwner (who I think was the second or third owner) says it was a Wheeler roadbike and a framebuilder decided to put track ends on it and do a custom paint job. 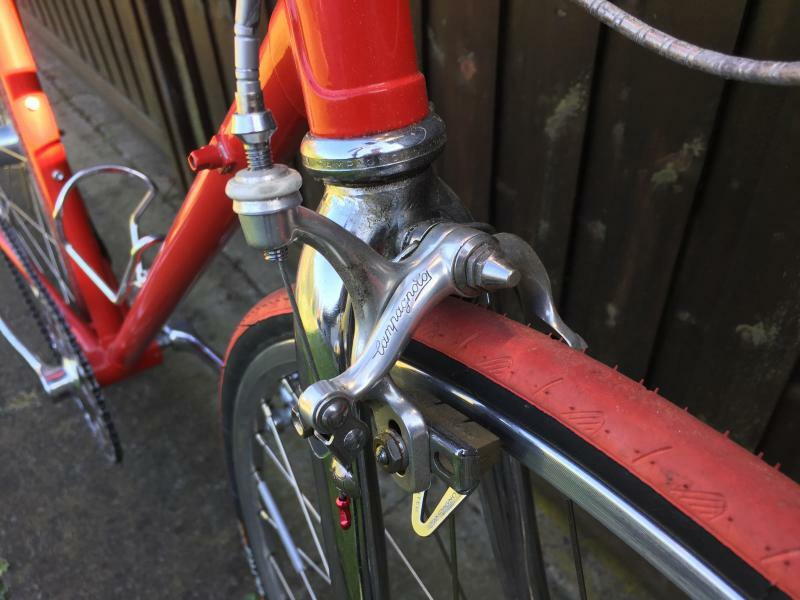 seems strange that someone would go to the trouble of brazing a set of fork ends, but not remove all the other bits: front derailleur mount, shifter bosses, cable stops, etc. Very interesting frame though. yeah I thought so as well but what are you gonna do? 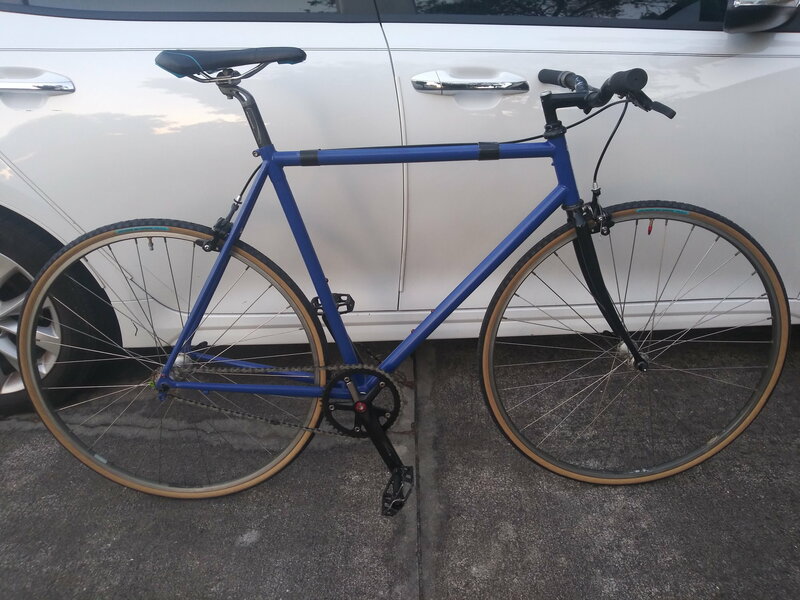 My first project, not much into bicycles before. Still not happy with all parts, but a start. 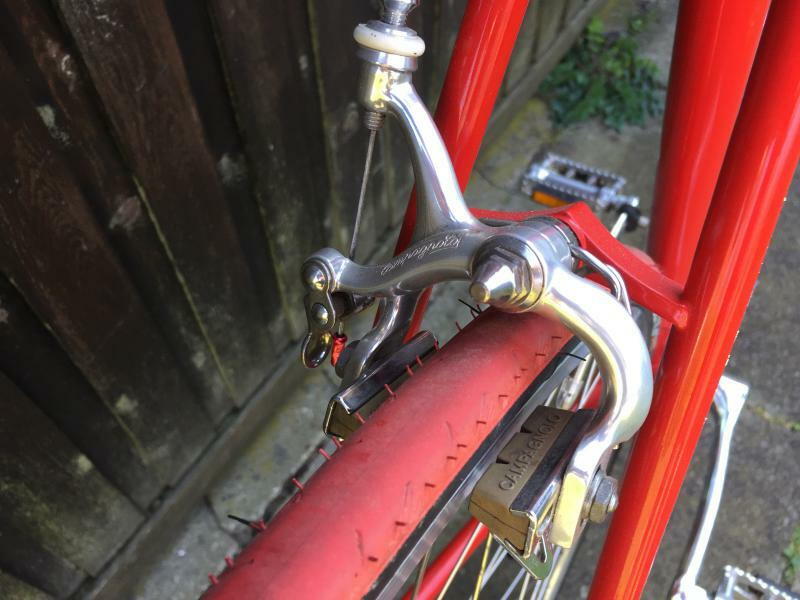 Obviously need to shorten the brake cables and want to change the grips. Thinking about removing the cadence sensor. And - to be honest, it is not a SSFG, it has a SRAM Automatix. Last edited by I_am_X; 04-15-19 at 08:35 AM. Reason: Forgot one picture.